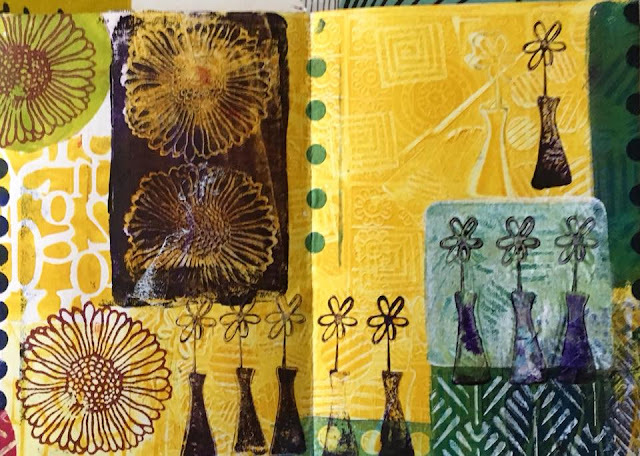 I've had enormous fun printing in my gelli concertina sketchbook. 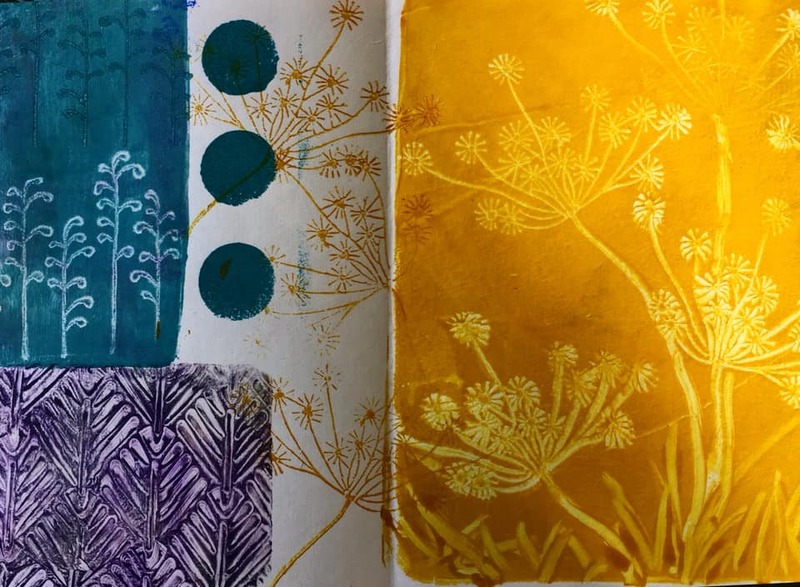 I had no driving force other than to just let myself go choosing colours, patterns and techniques as the mood took me. It's completed and I have a rather large collection of backgrounds now to do something with. Not sure what though! Perhaps a diary? Perhaps a place to stick little sketches? Here's the last pages. 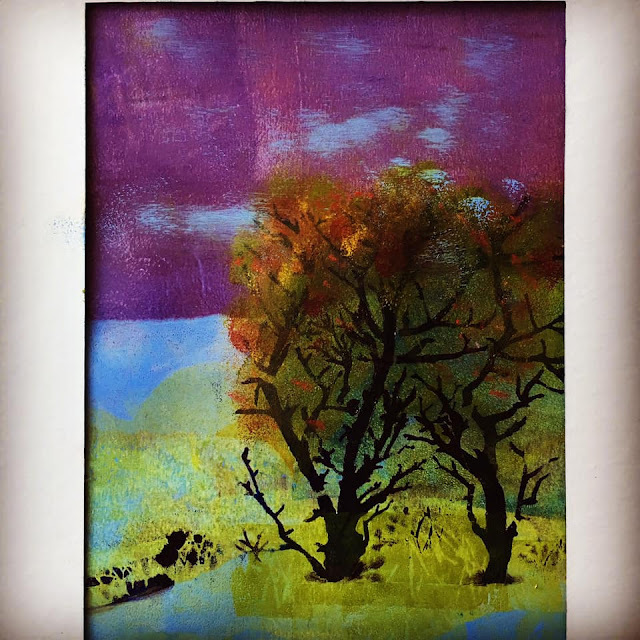 I also experimented with using the gelli plate to make a landscape, but can't claim success! It's a little too heavy handed, but of course has potential! I'll try again another day.